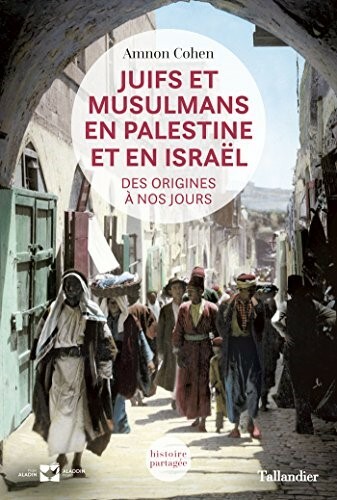 A history book about Jewish-Arab relations titled Juifs et musulmans en Palestine et en Israel des origines à nos jours recently won the first prize for the best history book published in France in 2016. The book was written by Prof. Amnon Cohen, an historian at the Hebrew University, who is an expert on the Ottoman Empire. In his book he presents a fresh positive analysis of the relationship between Jews and Arabs during four centuries of Ottoman rule. He bases his view on Jerusalem’s Islamic court archive documents and depicts a positive relationship in all realms of life – administration, law, state relations, foreign relations, etc. In his view and in light of the current tense relationship between the two peoples, a look back in time to the better days can present an alternative, more positive look into the future of these relationships. The book was published three months ago in French by the respected publishing house Tallandier, and is now in the process of publishing in English and Arabic. 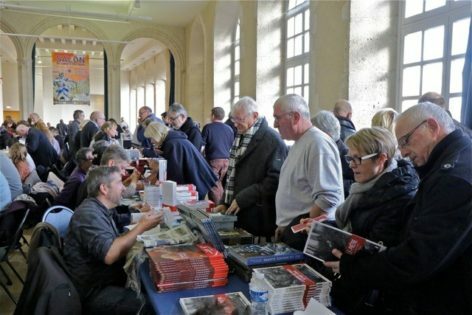 Paris-based Alladin foundation is about to extend the work in this subject and publish 10 volumes on Jewish-Muslim relations in Mediterranean countries throughout history. A book review published last month in Le Croix, written by Jean-Pierre Rioux, a famed historian, the editor of Vingtième siècle- revue d’histoire who was chair of the prize committee which awarded Prof. Cohen the 2016 best history book. 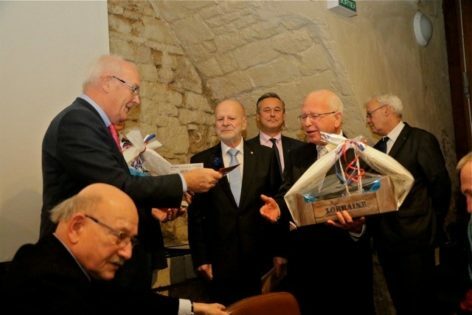 He was presented with the prize at the book fair, pictures below (Prof. Cohen holding a parcel on the left).